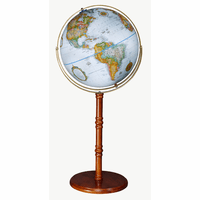 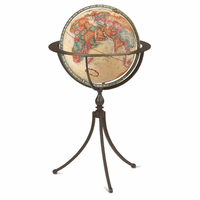 The Forum globe has a 16' diameter, and an antiqued parchment white finish. 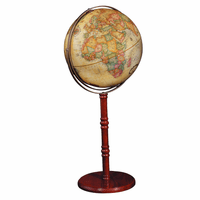 Countries are colored in muted pastel shades, with darker shading on the borders. It is mounted on an antique brass meridian, and is set into a bronzed metal column on a flat base. 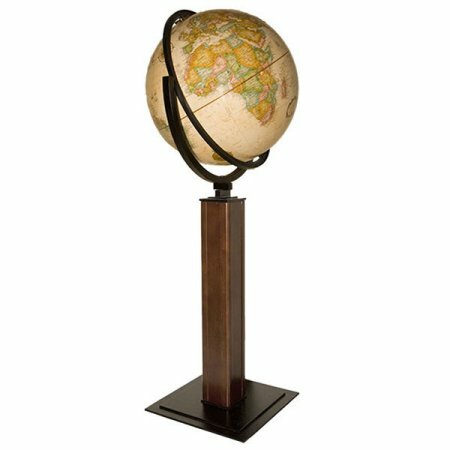 The total dimensions are 20' x 16' x 47.5', creating a slim, tall display piece for the corner of your home or office. 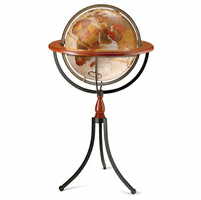 As a gift for wedding, graduation, promotion, or special occasion, the Forum Globe is beyond compare!